Staying on top of your finances is not easy, but with these awesome expense trackers it will be. 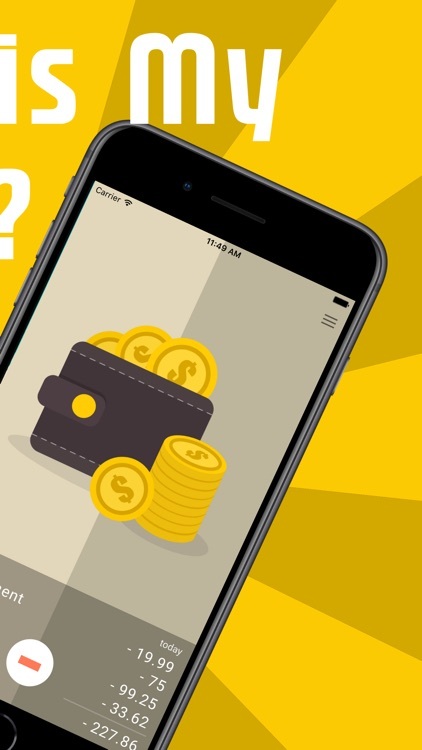 We've found the best apps that will help you stay on top of what you're spending and when. 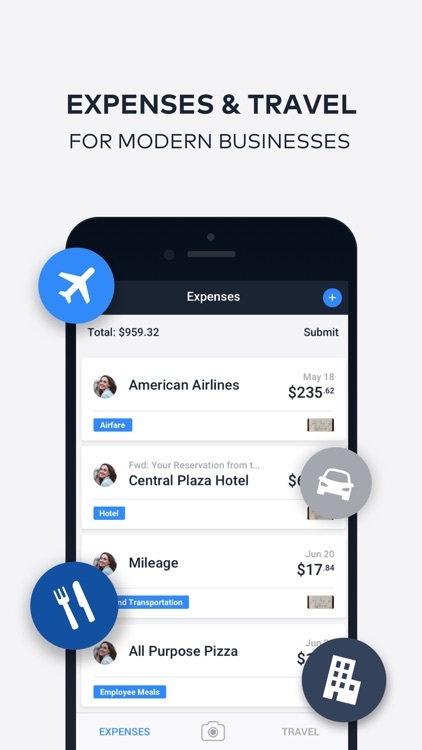 For those who want a full-featured expense tracking and reporting app with built-in trip planning. 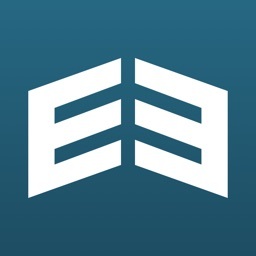 Zeny is a free simple finance manager. You can make an entry very fast with a few taps and keep tracking your home budget easily. 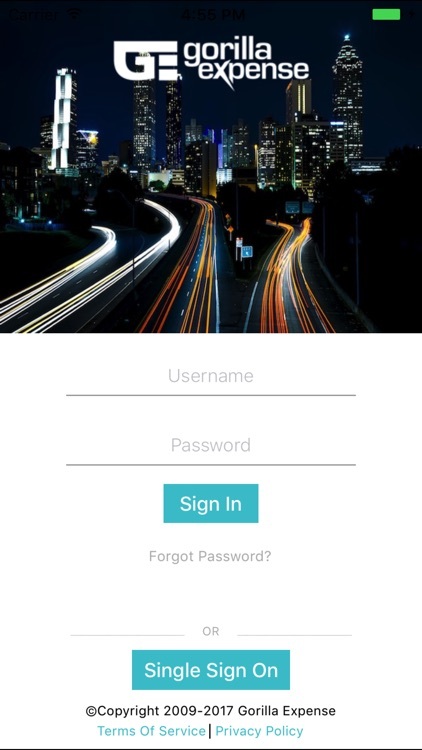 Zeny is designed so that you can make your business entries super quick even with one hand. It comes with great functions, but no frills. 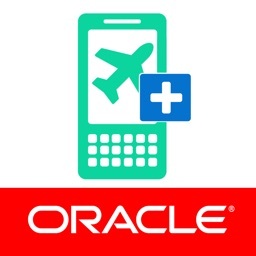 For those who want an expense tracking and reporting tool with flight and hotel booking options. 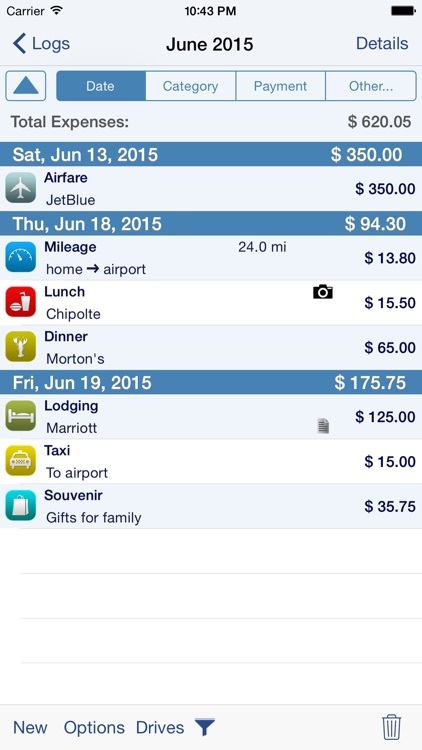 TravelBank is the only business travel and expense app you'll ever need. 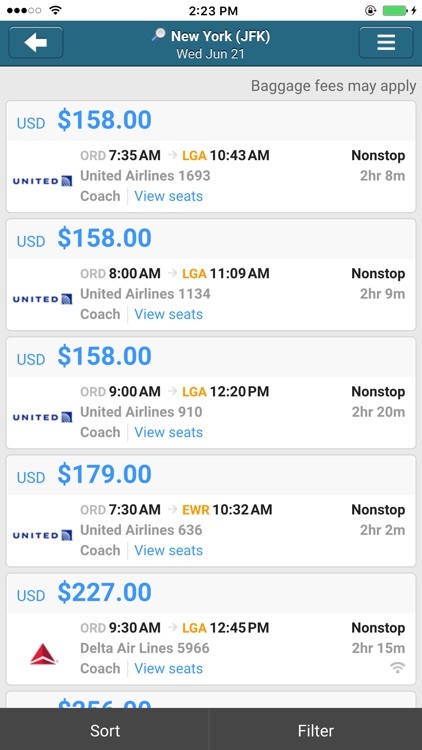 Book a flight and hotel, then create and submit an expense report, all in minutes. 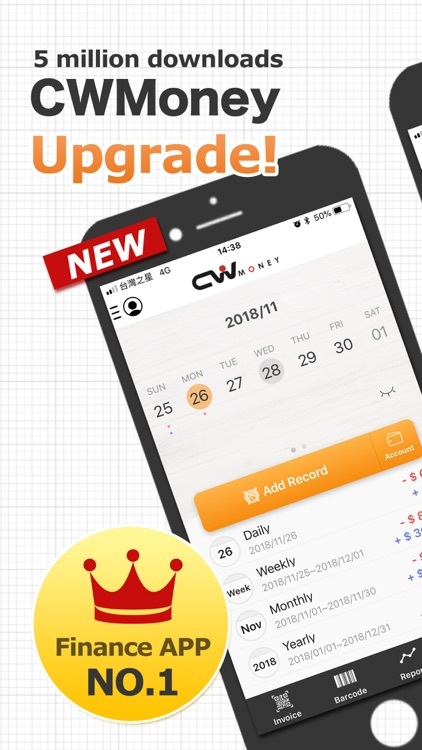 All new interface of CWMoney2.92!!! ※※※※ Special Sale: USD:1.99 (org:$9.99) for a Limited Time! 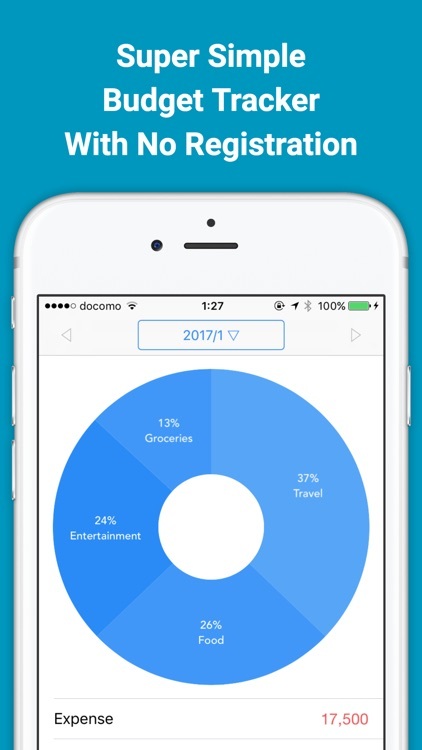 ※※※ As Featured in the App Store “Finance catalog #1” Export,Account,Catalog,Income PieChart/BarChart set Priority,Daily BarChart..
Access your Abacus to track expenses from anywhere! 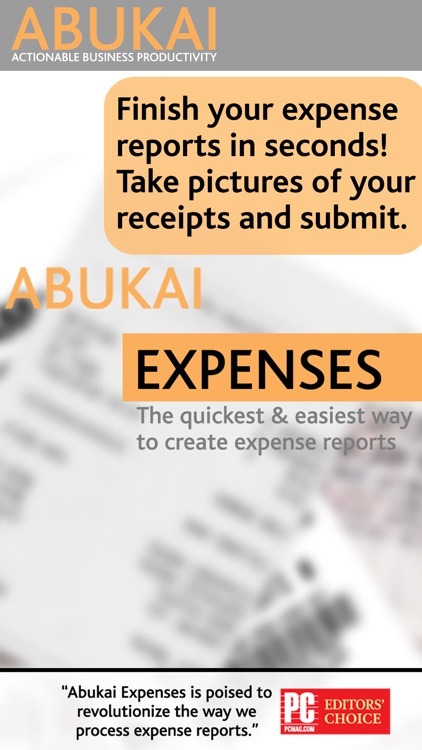 Abacus drafts expenses using reliable data sources such as receipts, card transactions, past behavior, CRM fields, and geolocation to ensure records are complete and accurate. 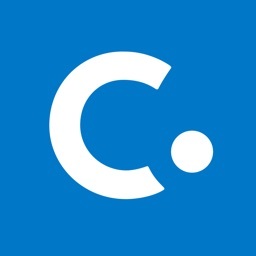 If your company uses Coupa for purchasing, invoicing, expenses, or all of these, then you can download this app and use Coupa on the go. 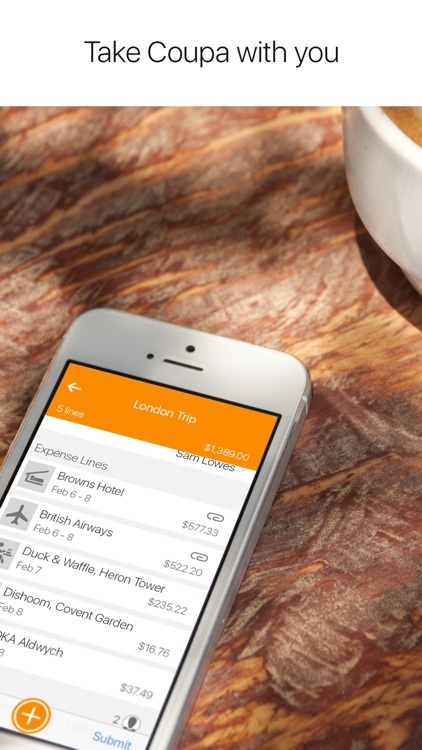 Presenting the most beautiful expense tracking app ever built. 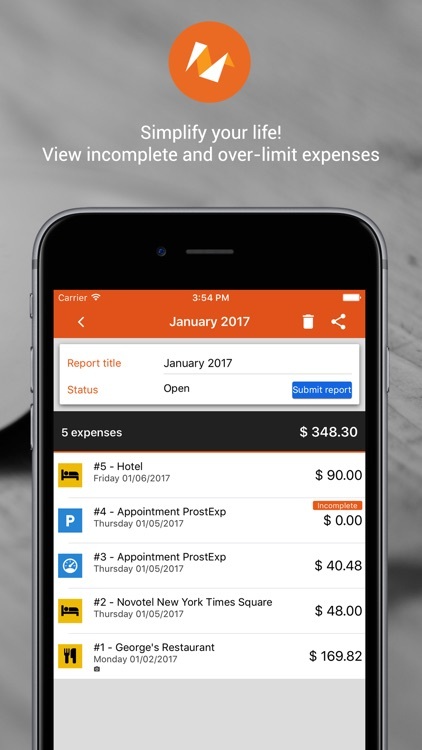 Track your expenses, receipts, mileage, and submit your travel and expense reports on time with Fyle’s new AI powered expense tracker app. This app is only for business users who already own Gorilla Expense web app licenses!! 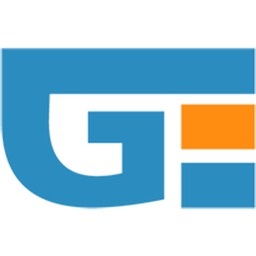 Gorilla Expense helps corporations eliminate reckless spending and gain visibility into corporate spend. 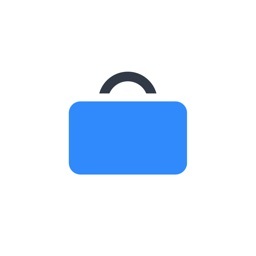 Certify Mobile is the perfect companion for business travel. 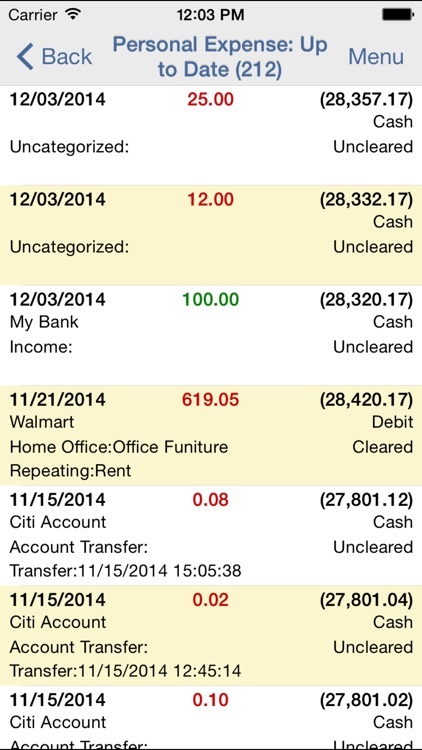 Capture receipts and expenses using Certify Mobile, and then submit expense reports. Are you self-employed, an independent contractor or agent? 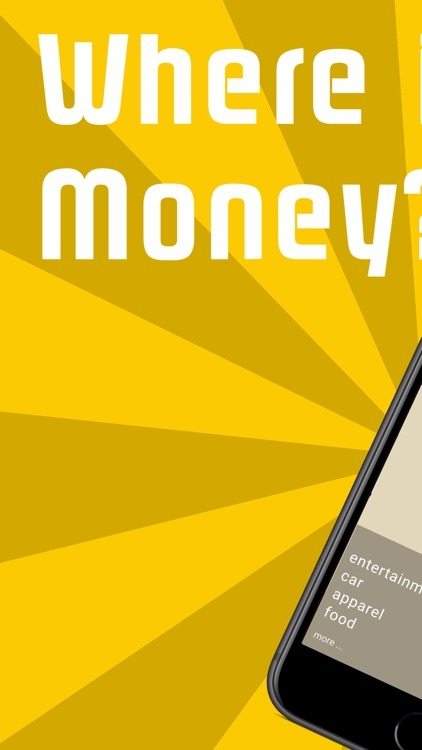 Do you freelance, have a gig, or drive for Uber or Lyft? 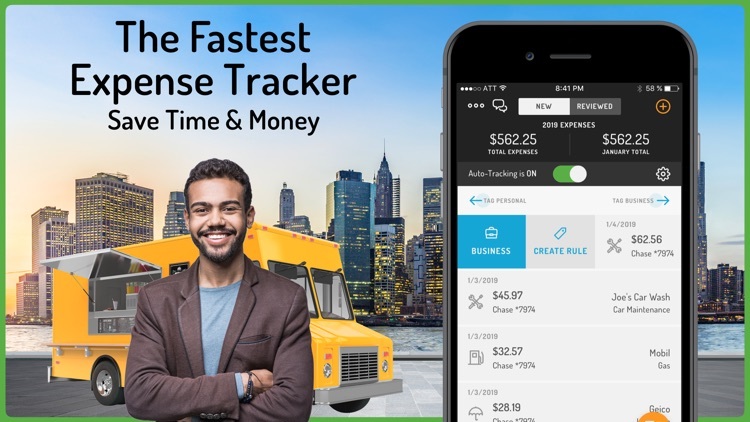 Hurdlr’s business expenses and mileage tracker saves you thousands of dollars in IRS tax deductions. 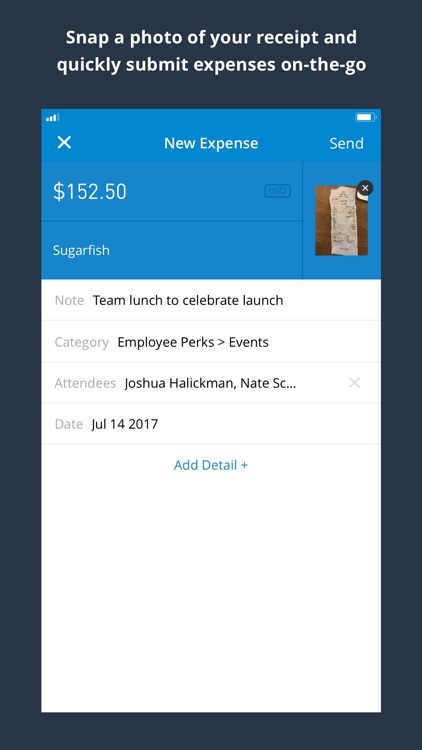 Plus, easily capture receipts and create expense reports. 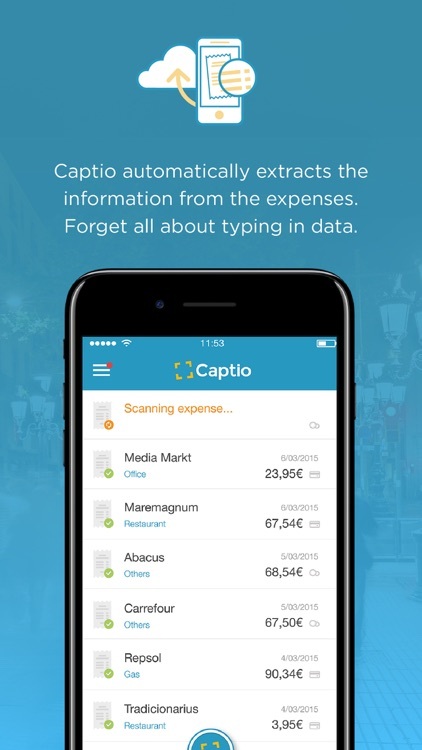 Captio captures your receipts and processes your expense reports automatically. Forget all about any paperwork for your expense reports. 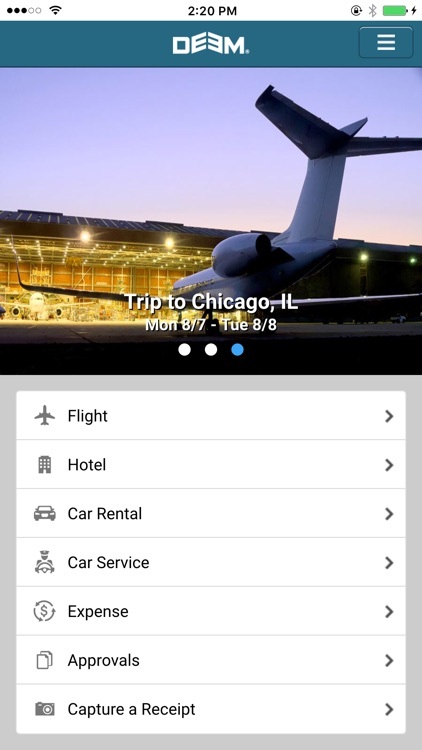 Captio transforms your smartphone into the perfect tool for your corporate travel. Use it to capture your receipts, bills, mileage and other travel expenses and automatically generate your reports. Make expense reporting effortless! 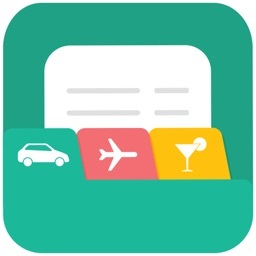 Zoho Expense automates business and travel expense management. 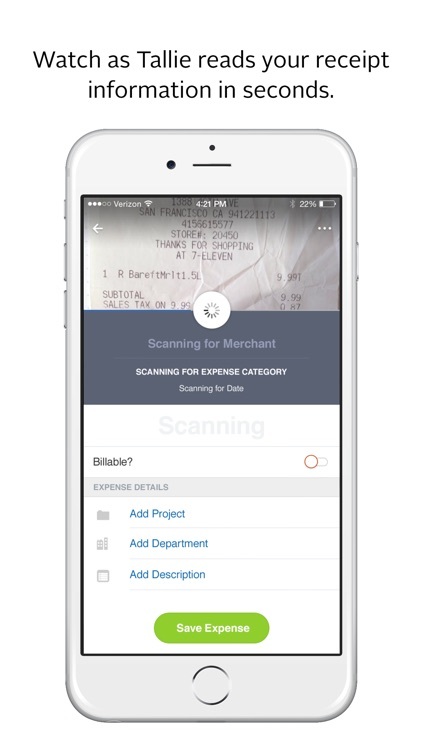 It dramatically reduces the time required to record receipts, prepare expense reports and get them approved. Zoho Expense is a true perk for traveling employees, for managers who have stacks of expense reports awaiting approval. Join 100,000+ professionals across 60 countries who manage their expenses and business trips with Rydoo. Simply snap your receipt, submit in real-time and export your expense reports in just a few clicks. 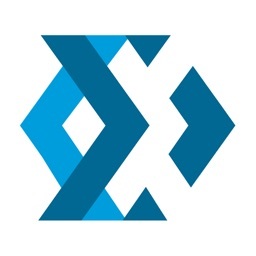 Seamless integration with your accounting or ERP package. 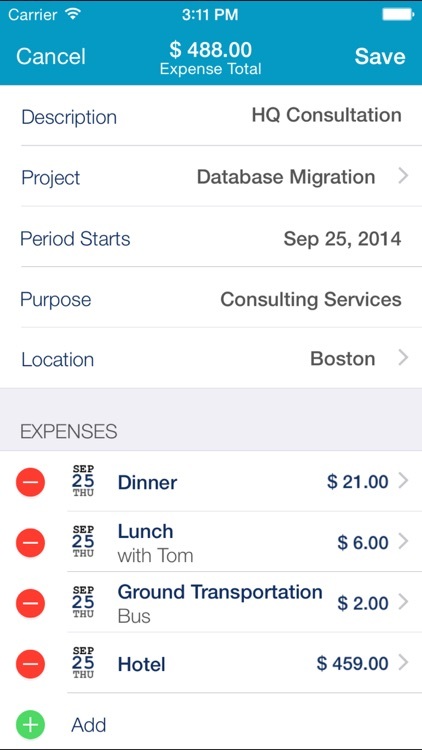 Expense management has never been easier! 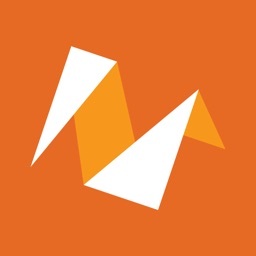 N2F is the solution that will take the headache out of managing of your expense reports! 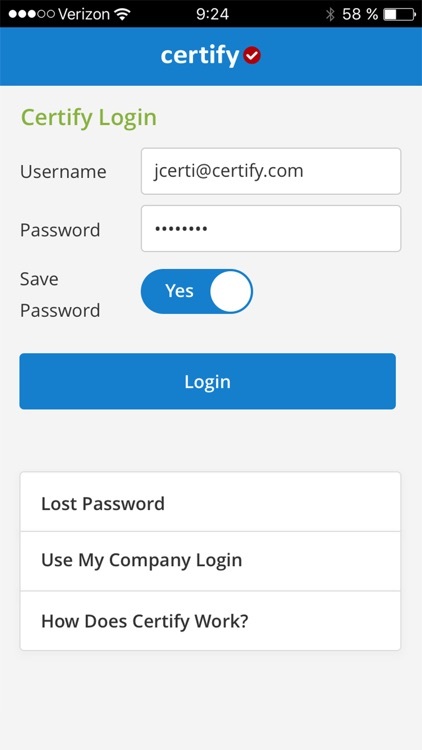 The application works on both smartphones and computers with our web app. Don't waste hours doing expenses. Let Artificial Intelligence do them for you in 15 seconds! 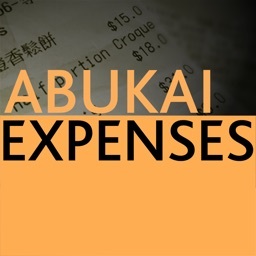 Tired of keeping track of your expenses and work hours? 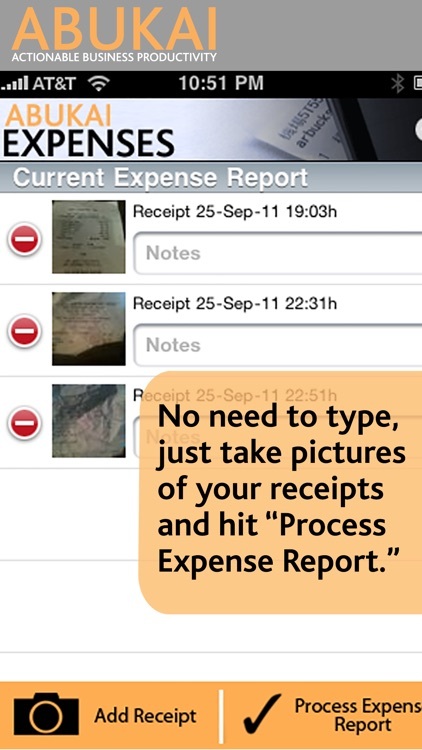 Time and Expense Center keeps all your records organized on the go. 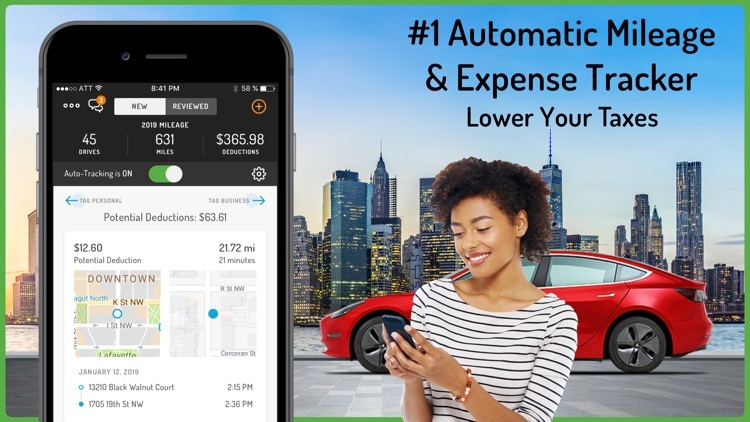 Track time, expenses and mileage in one place without any service subscription. 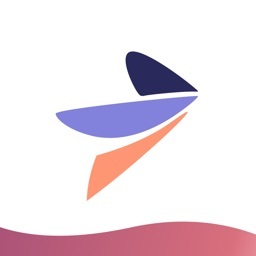 Tallie is an industry-trusted business expense report automation software solution that streamlines the entire expense management process—from point of purchase to accounting and reimbursement. 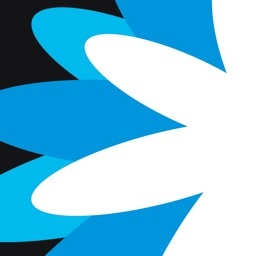 Tallie automates the management and tracking of expenses through a suite of enterprise-grade policy compliance, internal control, and analytics tools. 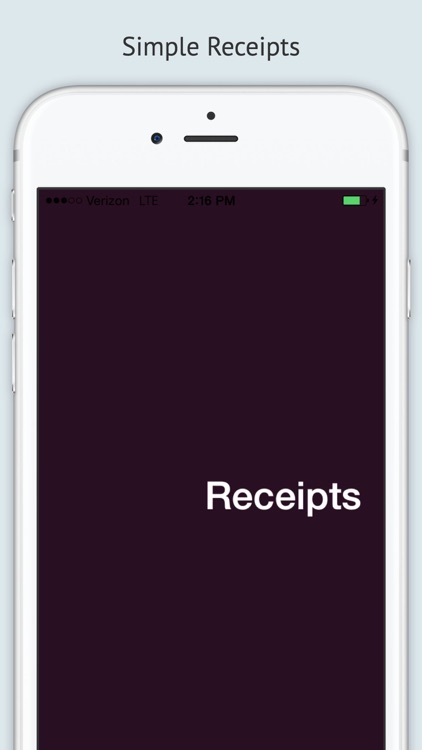 The Receipts app is the easiest and simplest way to save your expense receipts. 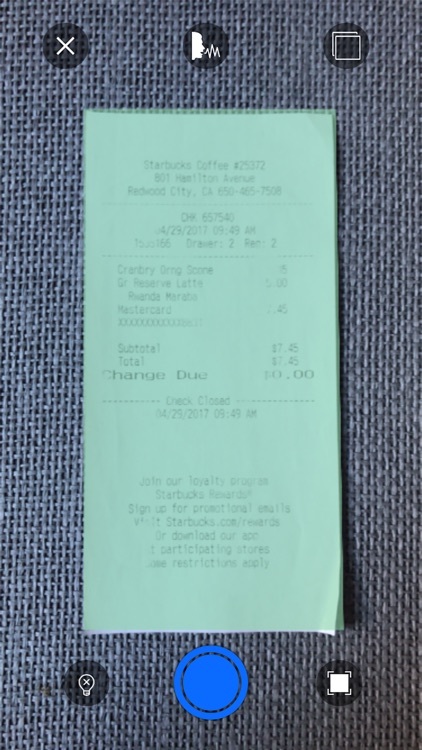 There are no bells & whistles because we didn't think saving a receipt needed bells and whistling. 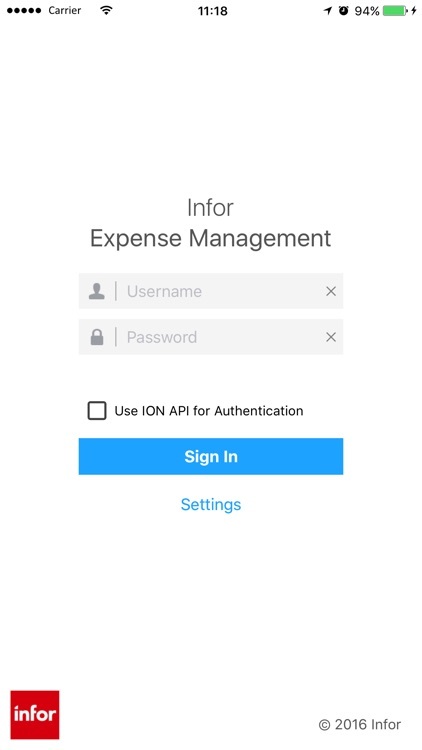 Infor Expense Management is built and designed for the way you work. 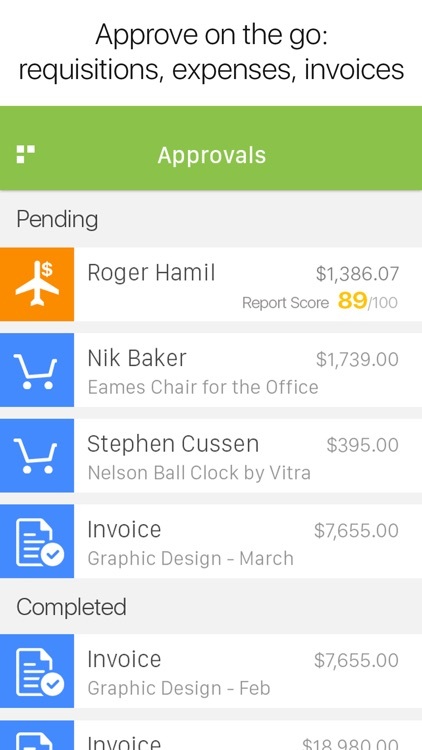 This mobile application allows you to create, manage, and approve your expense reports and timesheets from anywhere at any time! Veryfi gives you mobile tools to (a) automate data entry, (b) automate categorization & reconciliation and (c) bring transparency across your teams. Step 2. Hit “Process Expense Report” anytime you are ready. 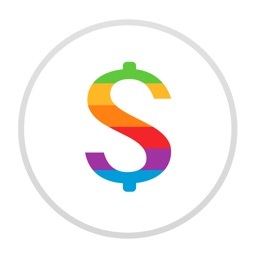 Keep an eye on your cash and spot spending patterns easily. 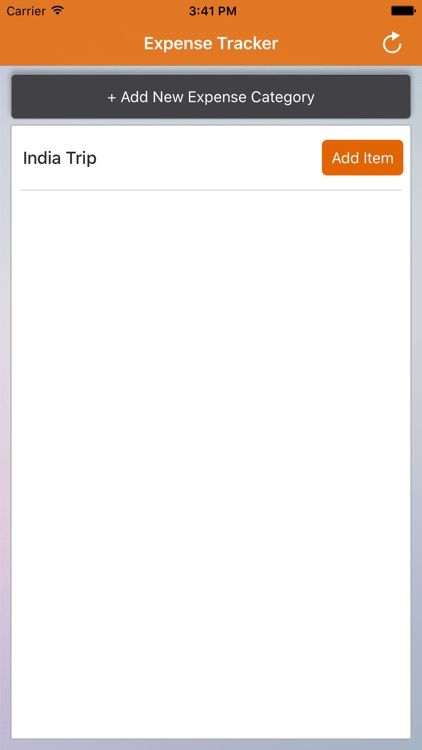 With a tap, Blinq lets you view all of your tracked expenses or just those for a particular month. Customize your categories, set up a spending limit, add items from your Apple Watch, and use 3D Touch for quick actions. 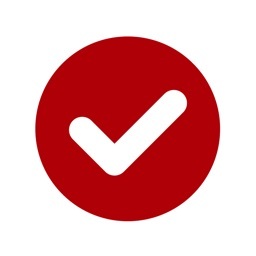 Discover, today, expense reports of tomorrow! 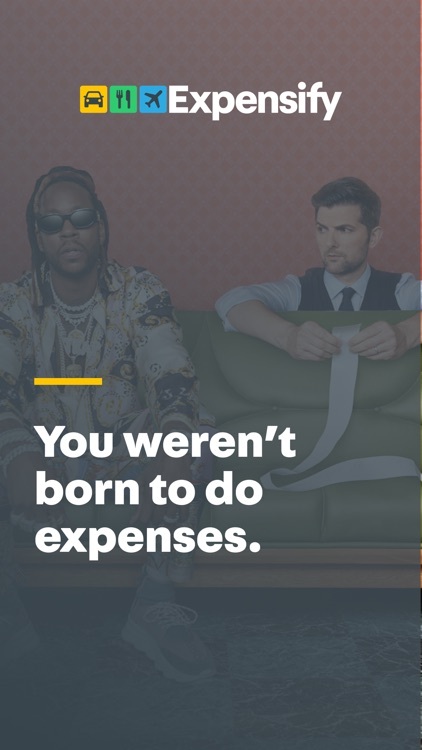 Forget expense reports' torture! Forget Excel! You are always losing receipts? Exhausted from calculating your mileage expenses? 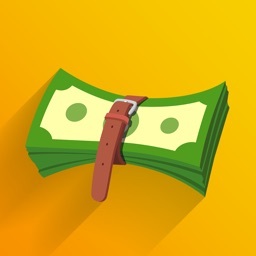 Feeling that you are wasting your time in business expenses management? 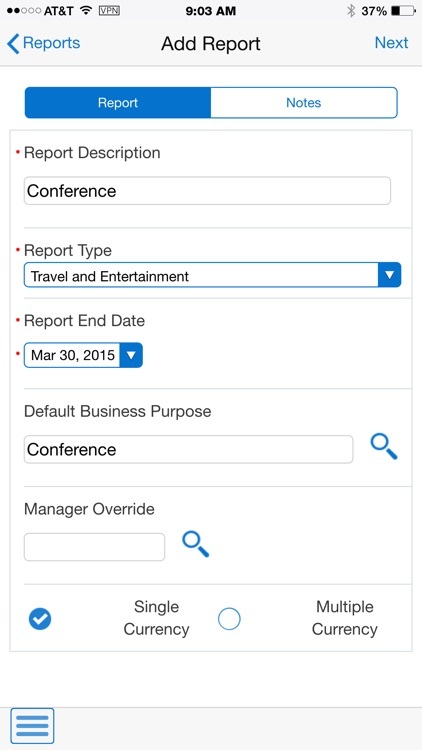 You are dreaming of a world where expense reports are filled automatically? 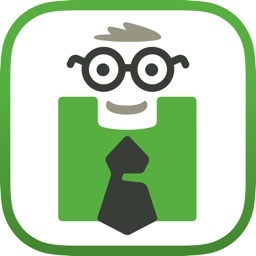 Become your own accountant, with iAccountant. 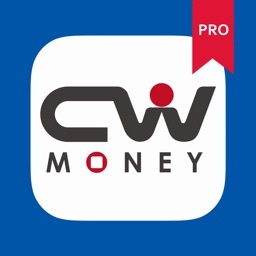 Managing your money has never been so simple! 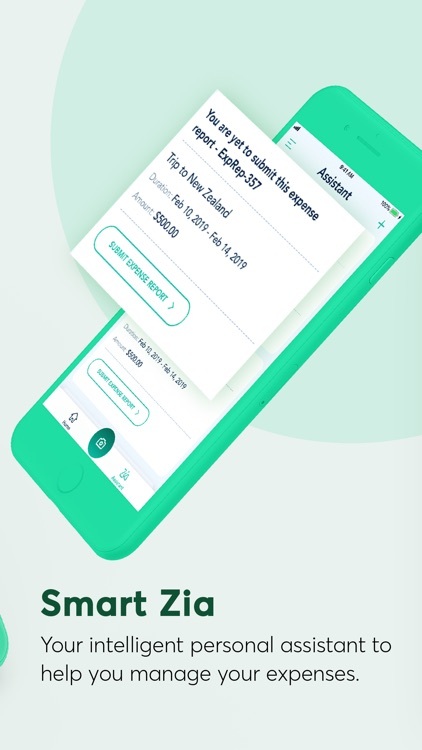 iAccountant is designed for money-savy consumers or small businesses to easily track their expenses, account balances and capture receipts for tax reporting and money management purposes. 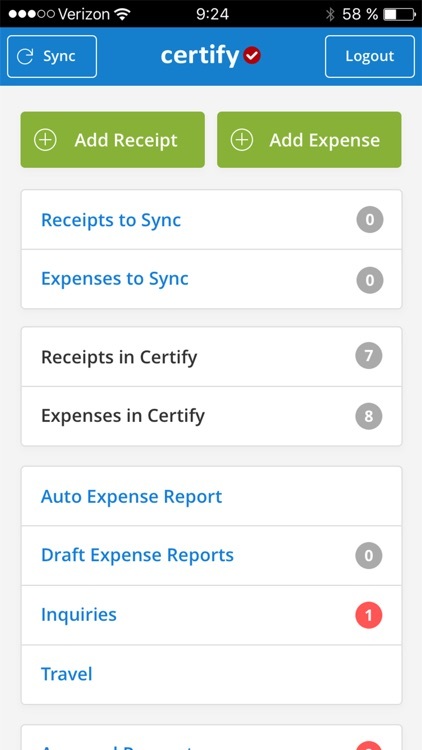 Track all of your business expenses using the same pre-defined categories that you will find in your tax software when you do your federal income taxes. 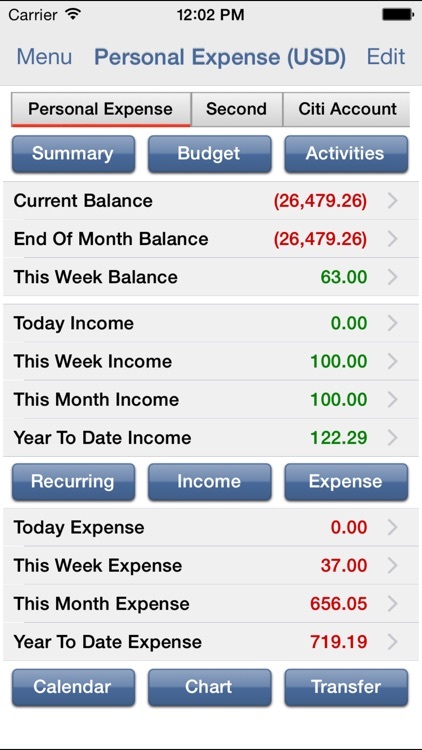 Organize your expenses by account to use iAccountant as a full-fledged money management app. Setup recurring, scheduled transactions. Perform account to account transfers and more. 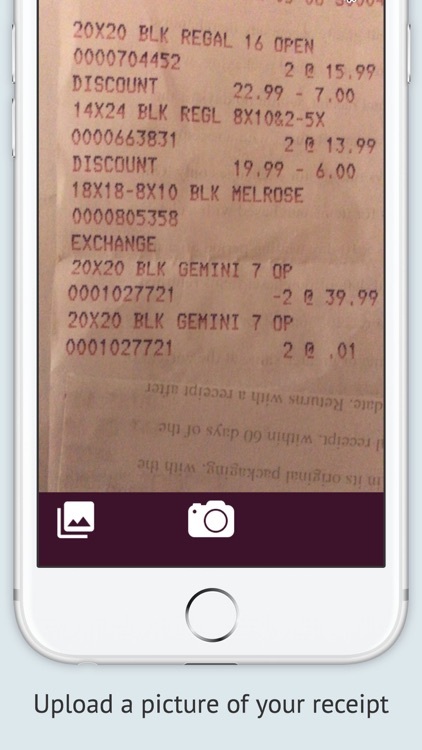 Quickly Capture a picture of a receipt using Quick-Snap and come back to the app to file it later when you have time. 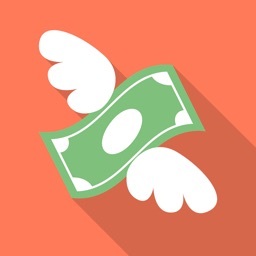 Email an expense to your financial officer to write off an expense. Add expenses quickly on the go with Force Touch shortcuts from the home screen. View and Generate a yearly PDF report containing summaries for all of your expenses by category. 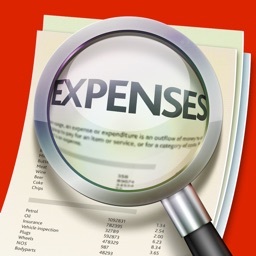 With your well organized expense report containing all your expenses with receipts in a single PDF and a summarized CSV / excel file, you be well prepared for any audit of your business expenses by the IRS. 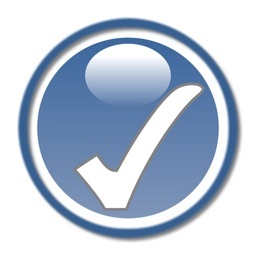 Make your business virtually Audit Proof! 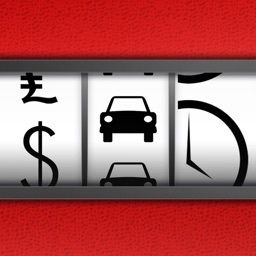 Application that helps you manage and track your daily expenses. 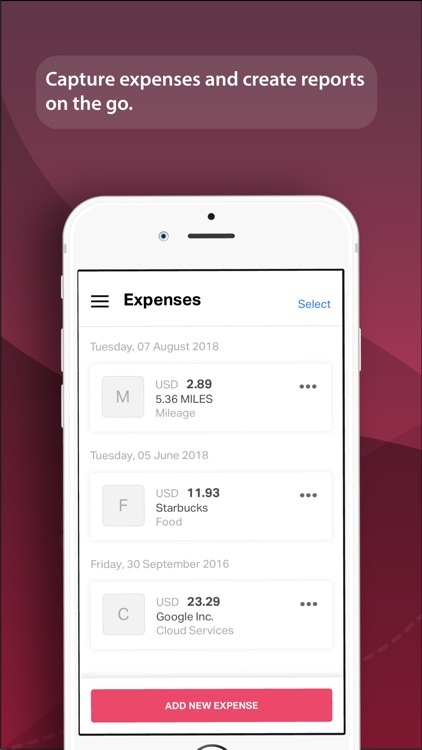 Designed to be simple and intuitive, this expense tracker app will help you manage, report and always be aware of what is happening in your own wallet. 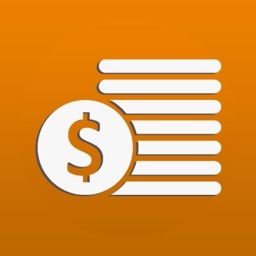 A great budget manager tool for everyone who is concerned about their spending. Closely manage your expenses with ease & take advantage of custom reminders so that you will never be late with your monthly bills. 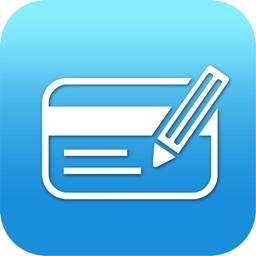 - reminders - daily, weekly and monthly - a great help for repeating/recurrent payments. You don't have to stop spending, you just have to track, understand and make future smart decisions. Pico Spend provides quick and easy way to enter your expenses, but also robust reporting and drill-down capabilities for everyday analysis of your spending. All these features on your pocket device - no additional desktop programs, server components or fees. 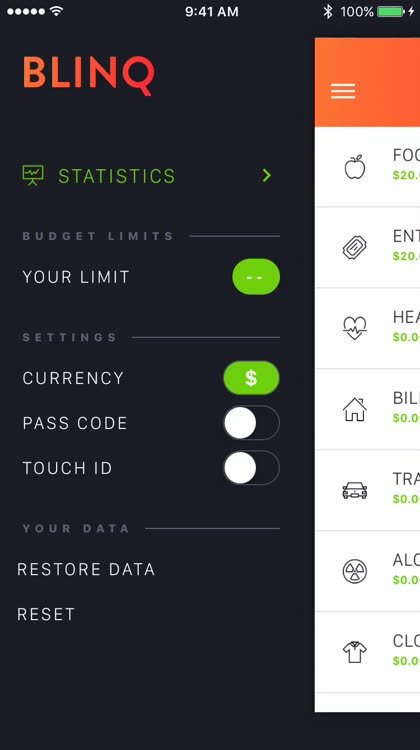 Spending data is saved on your device, so there is no need for data connection to enter an expense. App and glance for your Apple Watch are included with this version. 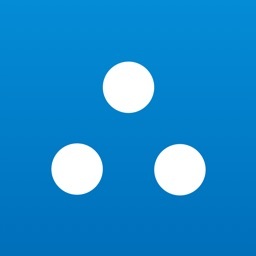 Free version - Pico Spend Lite is also available! Try it! 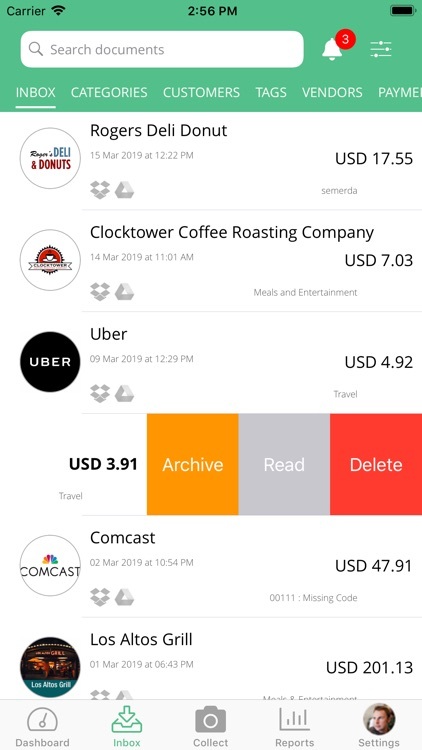 Espresso: Your corporate expenses managed by a beautiful app which generates reports automatically, whenever you need them. 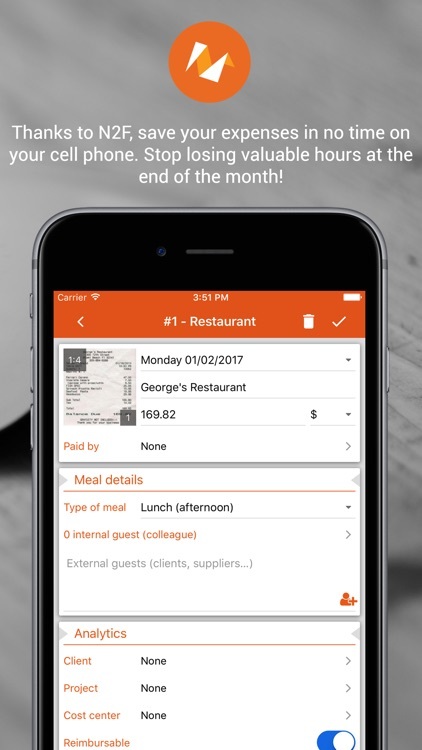 It's extremely easy to record your expenses with food, transportation, accommodation or others. It only takes a few seconds, and you can do it on the go, wherever your are. 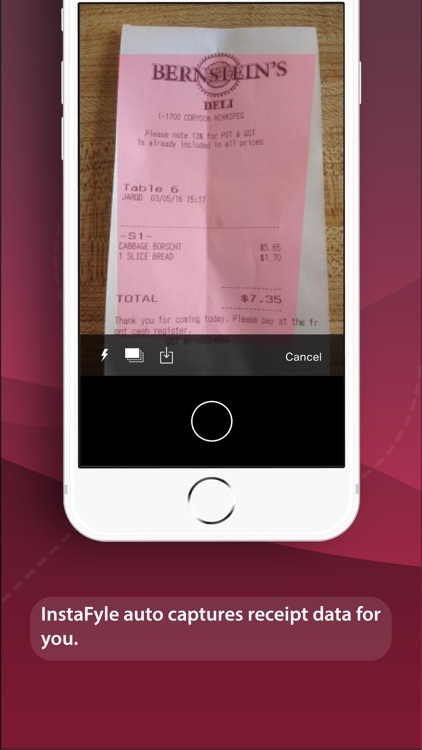 The app allows you to take photos of your receipts and attach them to your expenses. Your employer receives them on the other end. 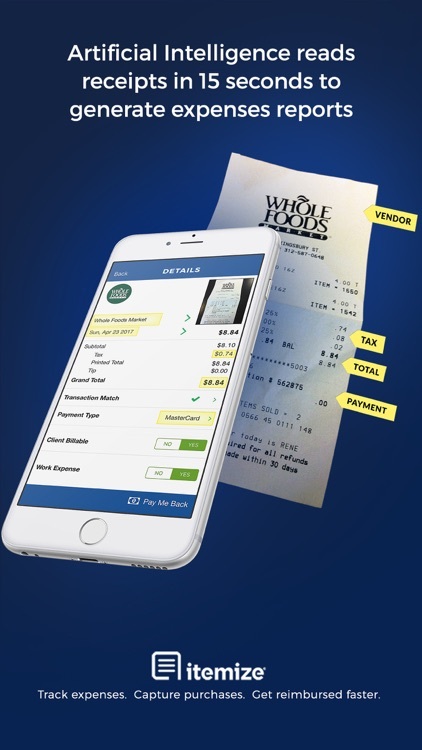 Paper receipts are easy to lose, they get wet, and you don't get reimbursed for your expenses. Never again. We create your expense report for you in beautiful format, and you can also save it as a spreadsheet. 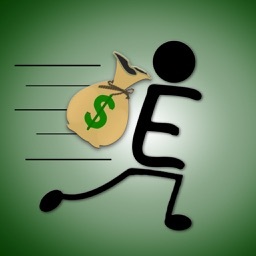 Track where your money is going with this simple but powerful personal finance app. 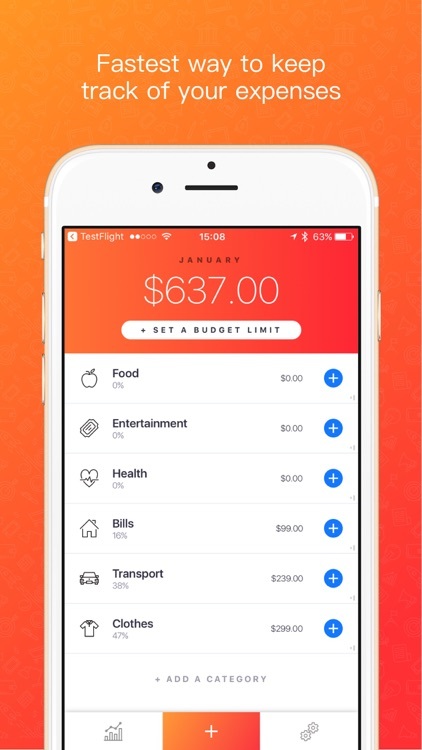 The Better-than-Budgeting-App is for everybody who doesn’t need thousands of features but are looking for a simple, beautiful app to track personal spending. 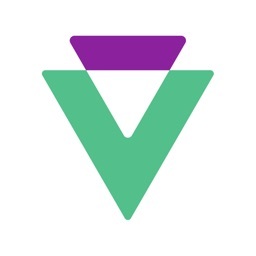 This app has a strong focus on simplicity. 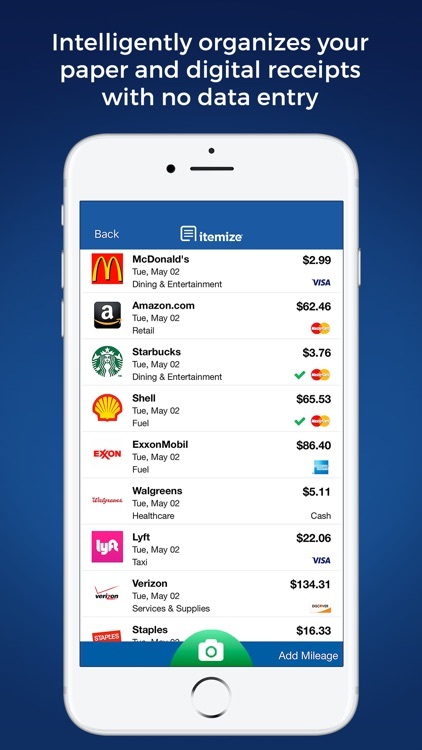 It can be so easy to record a transaction: tap the desired category from the apps home screen --> the QuickAdd-dialog opens – from here, you can enter the desired amount with a large, easy to read number pad --> hit OK and you’re done. The amount you entered is automatically assigned to the current day. 95% of the time that’s all you need. And if you really need to enter more details (different date, payment method, comments, etc.) you can use a detailed dialog. 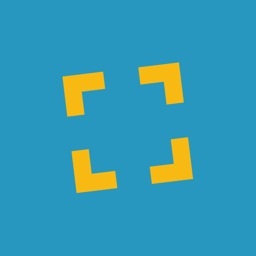 The app does not have every function you can imagine, but rather utilizes a solid set of features. It aims to be an app you actually use - not just install. It’s ad-free and no Internet connection is required. A free compatible desktop app for Windows or Mac is also available. 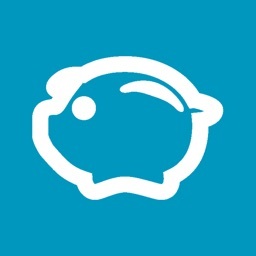 Spendr is the fastest way to manage you finances using a simple gestures interface that is elegant and easy to use. 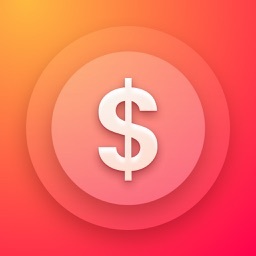 - 3d Touch for fast income and expense input. - You can’t spend what you don’t have. 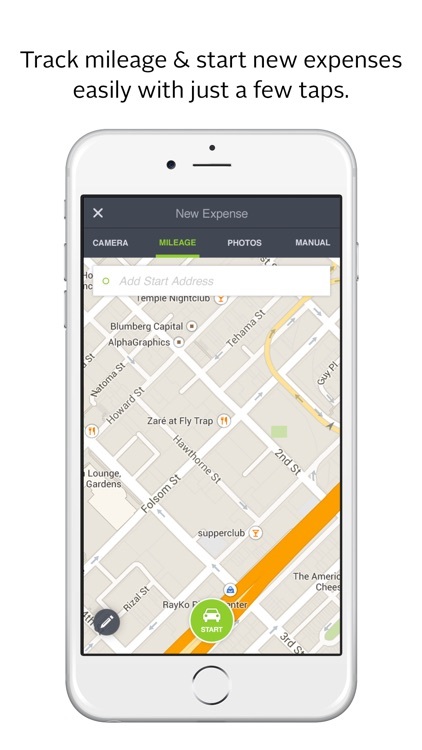 After tons of research we found that the best way to track your expenses is to add your income first inside the app. 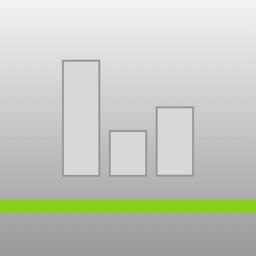 This way it’s easy to see how much money you have left and you will make better decisions when spending your money. 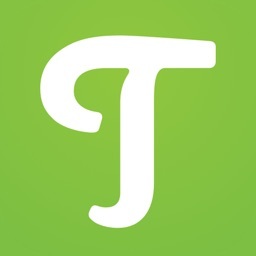 If you like the app please take a few seconds to leave us a nice review. 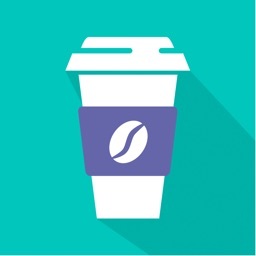 Enjoy the app and have a fantastic day! 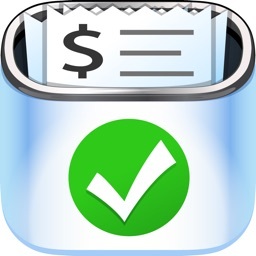 ExpenseOnTheGo - the #1 receipt scanning, expense management and budget planning app for iOS! 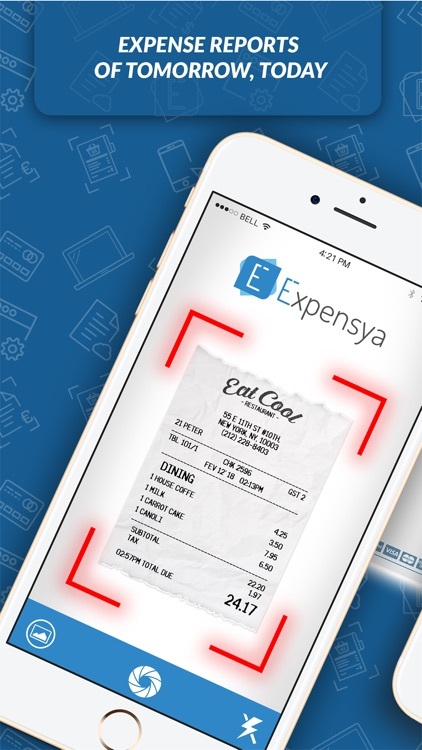 Use ExpenseOnTheGo's receipt scanner to scan your expense receipts, bills and invoices. 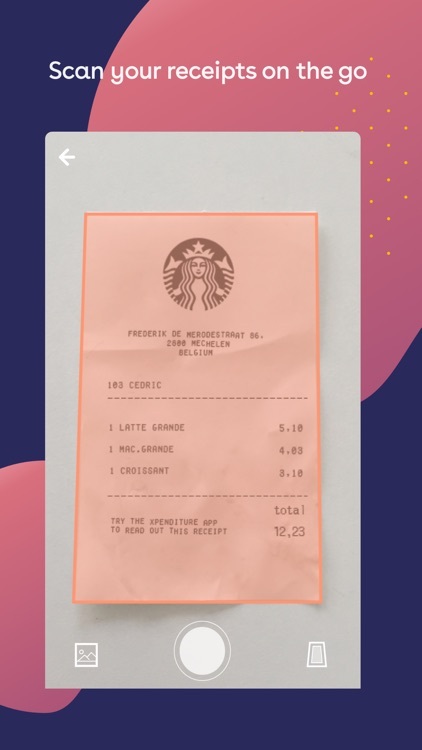 Once scanned, tag and add details about the receipt such as vendor name, account to post to, date of purchase, amount, VAT/GMT tax, payment method and more. 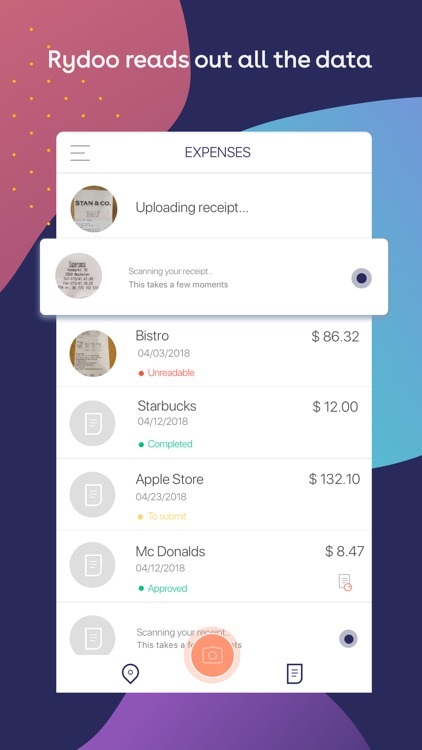 ExpenseOnTheGo will store all your receipts and help you organize your receipts so that you can access them whenever and wherever you want to! 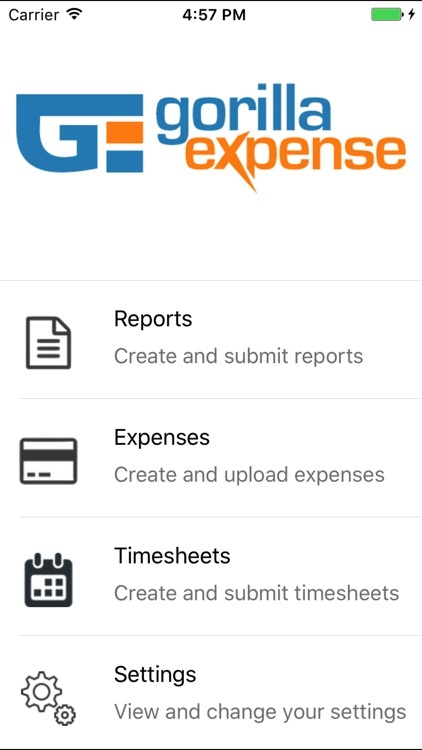 ExpenseOnTheGo is an innovative app that will simplify recording and distributing your personal, business and corporate expense records. 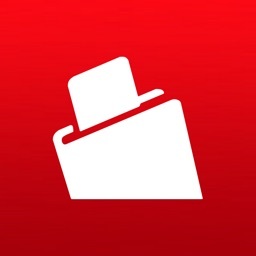 It ís perfectly suited for personal and professional usage, and is one app that every shrewd person needs! 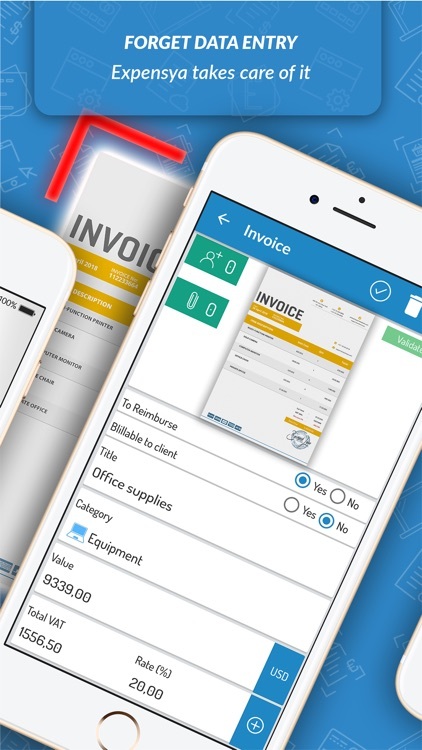 Saving money and organizing your bills, receipts and invoices all in one place has never been easier! 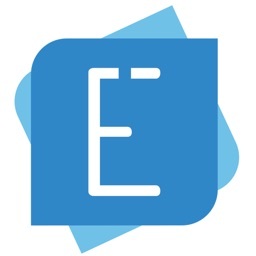 ExpenseOnTheGo performs those boring, hassle-filled and repetitive tasks that many people, especially employees of corporations, have trouble with. 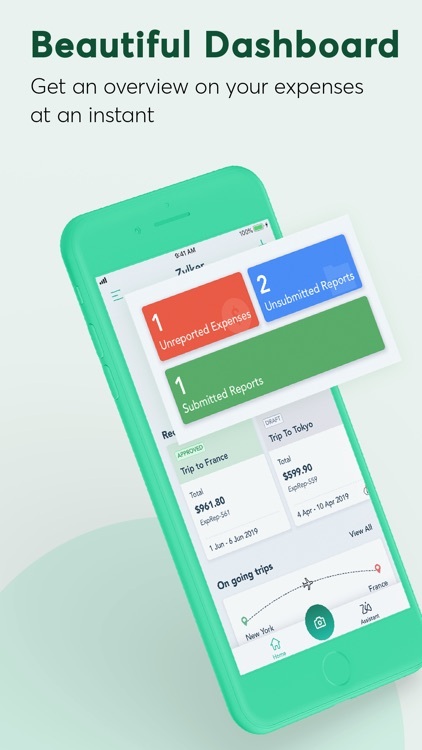 No one likes to track and submit their travel and expense reports to their companies as well as arrange and record tons of paper receipts, bills, memos and invoices. And, no one wants to spend their precious time going through bulky, cumbersome processes to prepare expenses so they can be filed. 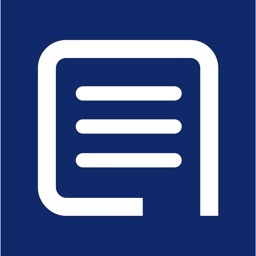 ExpenseOnTheGo simplifies all these problems by offering a unique solution that will not only save you time and frustration, but will also save you money by helping you track where you are spending your money, show you where you can reduce your expenses and also ensure that you don't lose those insignificant paper receipts and memos that occupy space and are difficult to manage! 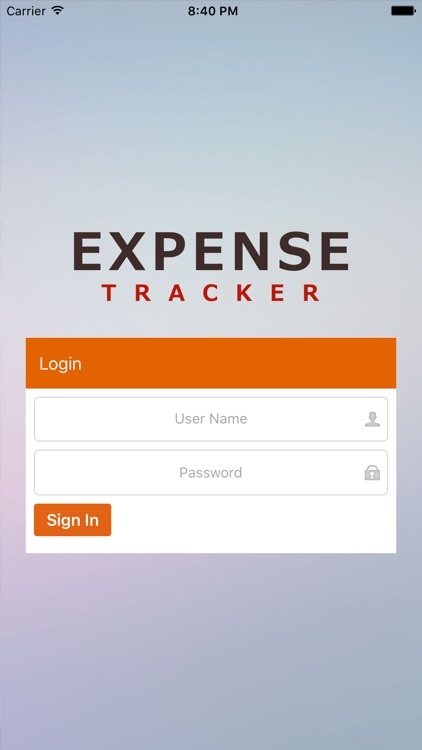 Thanks to this E-xceptional, E-fficient and E-asy to use app - ExpenseOnTheGo, the ultimate expense management, tracking and reporting app for personal and business use! 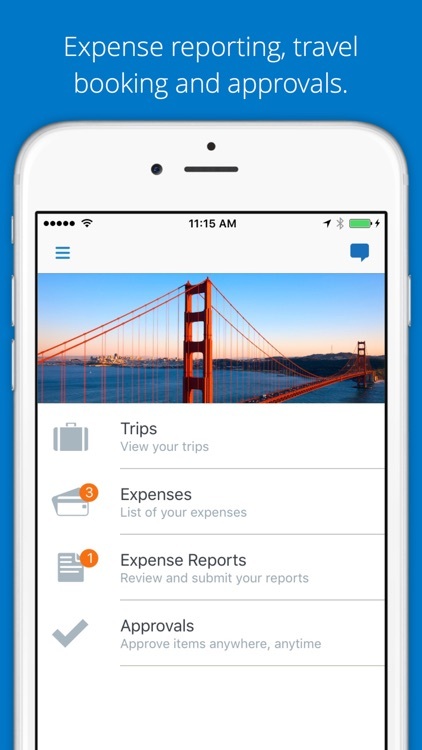 - Expense Management On The Go! All of these don’t just sound dull, they actually are! And many people face them all on a daily basis. 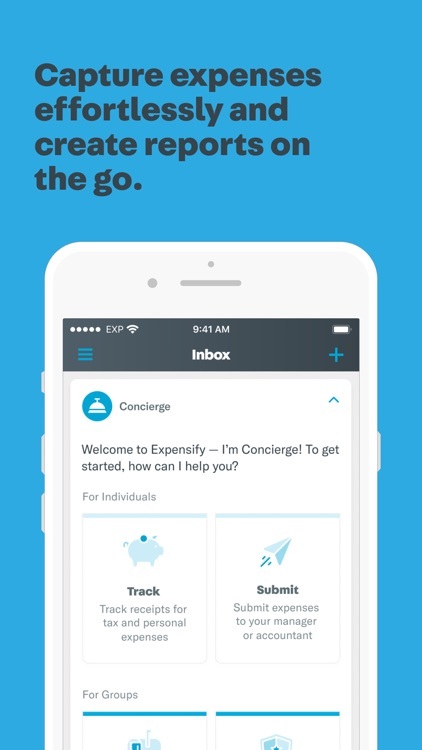 ExpenseOnTheGo will help you with ALL of these and much more! 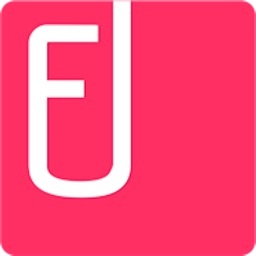 All you need to do is download the app and make your life, both personal and professional, E-asy! So, what are you waiting for? 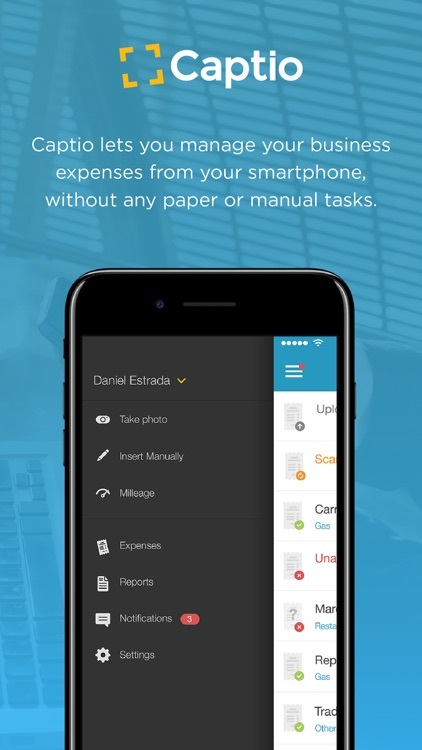 Download ExpenseOnTheGo right now, declutter your desk and start managing, tracking and reducing your expenses! We appreciate your feedback and suggestions. Please feel free to contact us or give us a review in the reviews section below. 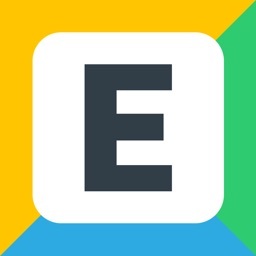 If you liked ExpenseOnTheGo, please give us a 5-star rating and review below, we would highly appreciate it! 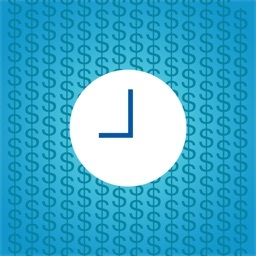 With ONexpense, say no to endless hours managing your expenses. 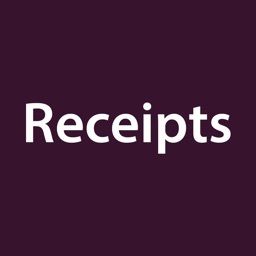 A simple picture of your receipts is all you need to extract and store information about your expenses. The rest is done by ONexpense for you : no data entry, no pain. 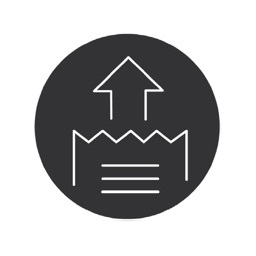 Enjoy an automatic export into an Excel file or CSV format for integration into you existing softwares. 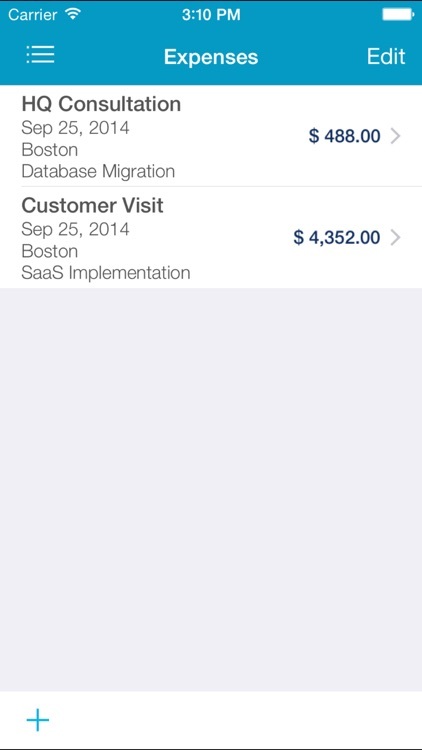 Take Expense Track on-the-go! 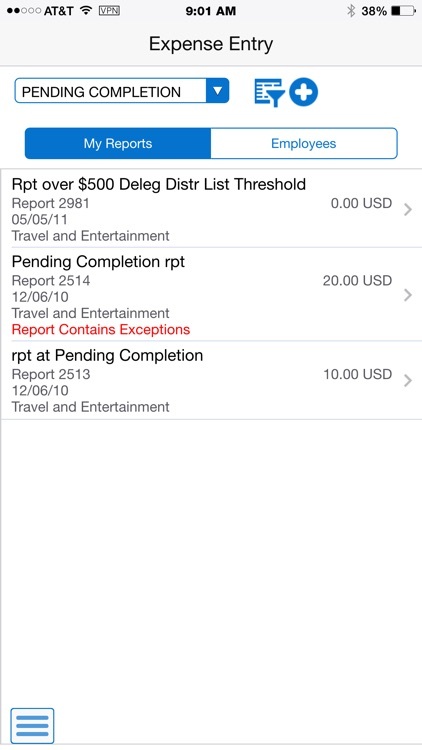 With the Expense Track app, you can capture receipts, create expense reports, and approve documents anywhere, anytime. 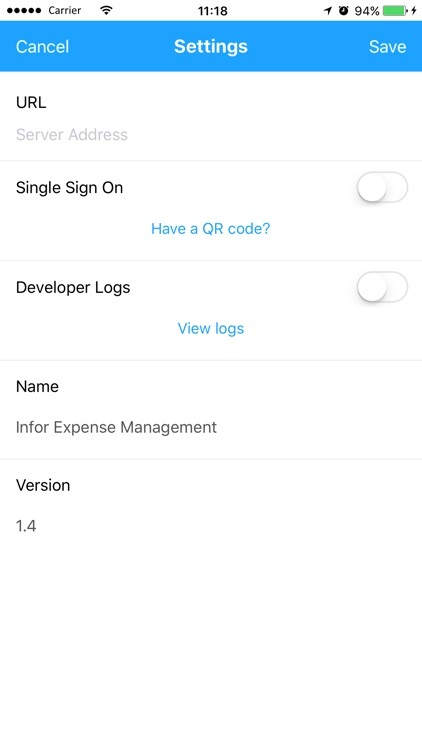 Note: The app is only for users with a valid login for Expense Track version 18.2 or higher. Use requires all relevant permissions and system settings. Contact your system administrator for more information.